Which Car Headlights Work Best? With the available headlight options seemingly endless and a variety of opinions offered at a second’s notice, it can be hard to determine which car headlights work best. In order to make this easier for you, we’re going to look at the three most popular types—halogen, LED, and Xenon—to determine which headlight you might want in your car. 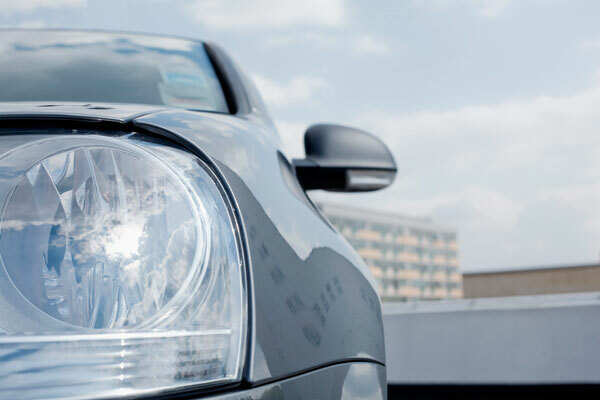 Currently the most popular type of headlight in the automotive world, halogen lights have a distinct advantage over the other types—their very lengthy lifespan. Able to last over 1,000 hours in normal conditions with low replacement costs, you would think that this type of headlight is a sure winner, right? Wrong. It’s important to also consider the efficiency of these lights; halogen isn’t typically the most efficient. The amount of heat the bulb creates represents its amount of wasted energy—this amount is very high in halogen bulbs. Also, halogen bulbs are reactive with a variety of substances, making it a high priority to handle them cautiously when replacing your headlight. So while the lifespan of a halogen bulb is great and it emits a bright, white light effectively, it still has a few cons. LED headlights are the best if you’re looking for efficiency. With the ability to work on very low power and an obvious lack of heat, these lights are also small, providing automakers with the opportunities to use them in a variety of designs. There is a downside to these headlights though—while they don’t generate heat in the bulbs themselves, at the base of the bulb, a lot of heat can build up, putting surrounding cables and wires at risk. These bulbs are also significantly more expensive than the halogens, presenting a disadvantage when it’s time to change them. Also know as high-intensity discharge headlamps (HIDs), Xenon headlights are considered to be more efficient and longer lasting than halogen, while also providing a brighter field of vision. These headlights use xenon gas, giving them a slight blue tint when viewed by the naked eye, and are often used on luxury cars. While they probably have the most pros in their corner, Xenon headlights also have some pretty hefty cons—the light emits a lot of glare, creating potential problems for oncoming traffic, while also having a high replacement cost. There is even the potential of harmful materials being used inside the lights, including metal mercury. With all three types of lights having both pros and cons, it’s definitely difficult to choose which car headlights work best, so we’re going to leave that up to you! Which headlights would you choose? Share your thoughts below.